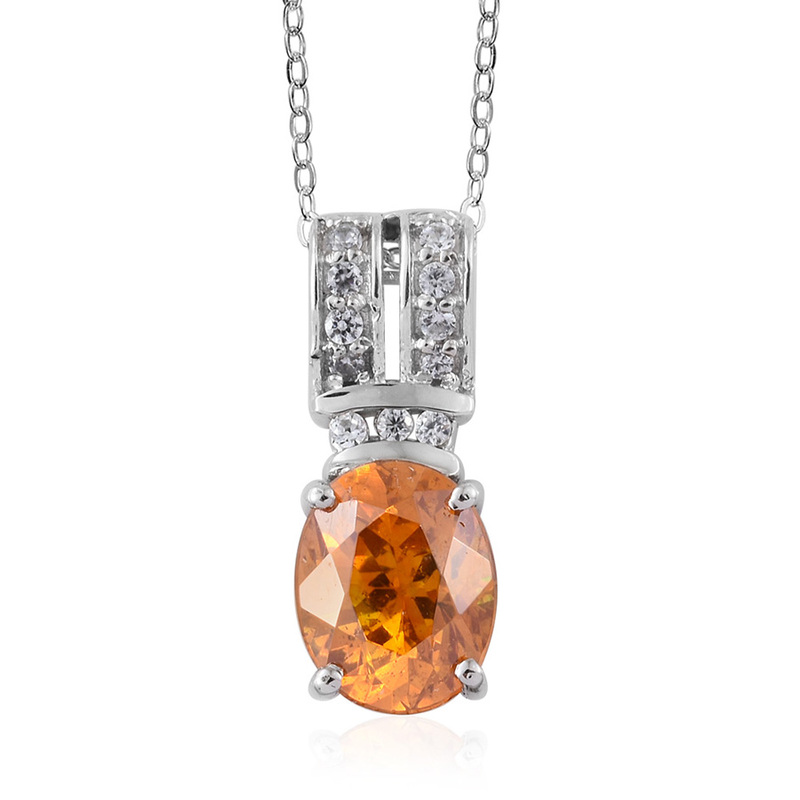 Available in a range of happy citrus-orange hues, sphalerite sparkles with three times the fire of diamond! Rarely seen in jewelry, sphalerite is often considered a delicate stone, relegated to the collector’s market. Unfortunately, this means few have witnessed the sparkling charm that sphalerite offers in its remarkable range of colors and amazing scintillation! Sphalerite exists in an exciting range of colors. The material can be lemon-yellow through honey-brown, fiery-red to citrus-orange, and even a bright grass-green! Shop LC provides a cheerful orange variety of sphalerite, perfect for adding sparkle and cheer on even the dreariest day. As a mineral, sphalerite (zinc sulfide) is the most common ore for zinc. However, trace amounts of iron bestow the range of yellows, oranges, and reds you can witness in the stone. As the amount of iron increases, the color of the stone deepens. With large quantities of iron present, the gem becomes dark and brown-colored. Insiders and collectors have long been aware of sphalerite’s amazing dispersion qualities. Dispersion is the quality that gives diamonds their coveted fire. In sphalerite, however, this quality is up to three times higher! The quality of dispersion is dependent on the clarity of the stone. Fortunately, much sphalerite tends towards eye-clean clarity, meaning that inclusions aren’t visible without x10 magnification. This also means that no two gemstones are alike, ensuring each is a unique treasure. Care must be taken with sphalerite, as the stone is more fragile than many others. Despite its incredible beauty, many have shied away from the jewel in the past for this reason. It ranks from 3.5 to 4 on the Mohs scale of hardness, meaning this gemstone can be more easily scratched or marked than more common stones. Also, it is easier to chip or break than most other commercially available gems. 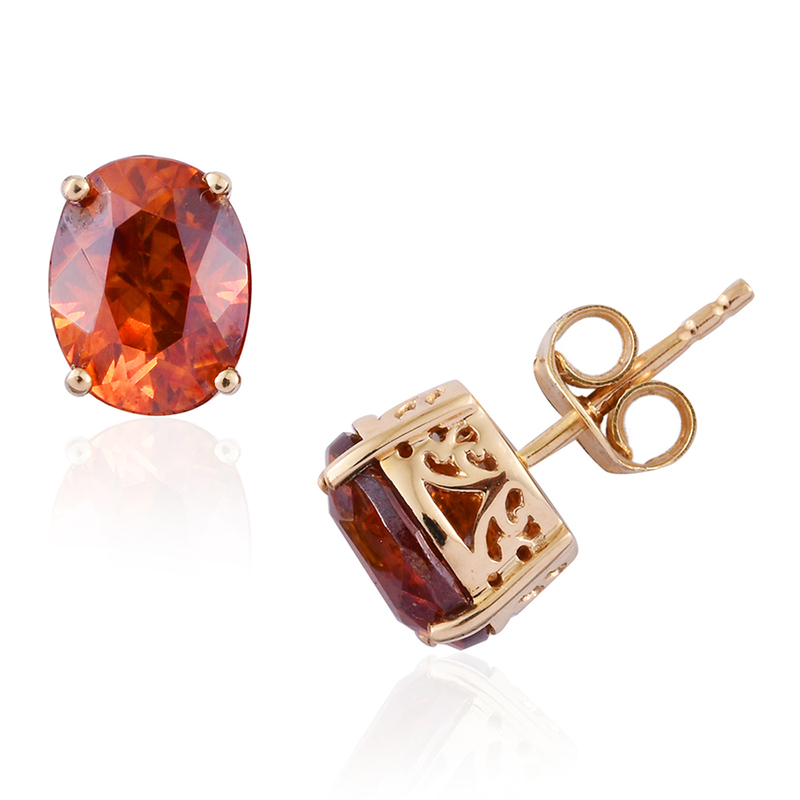 Earrings and pendants are great choices for sphalerite jewelry as they items are much less likely to come in contact with objects that might damage the jewelry. 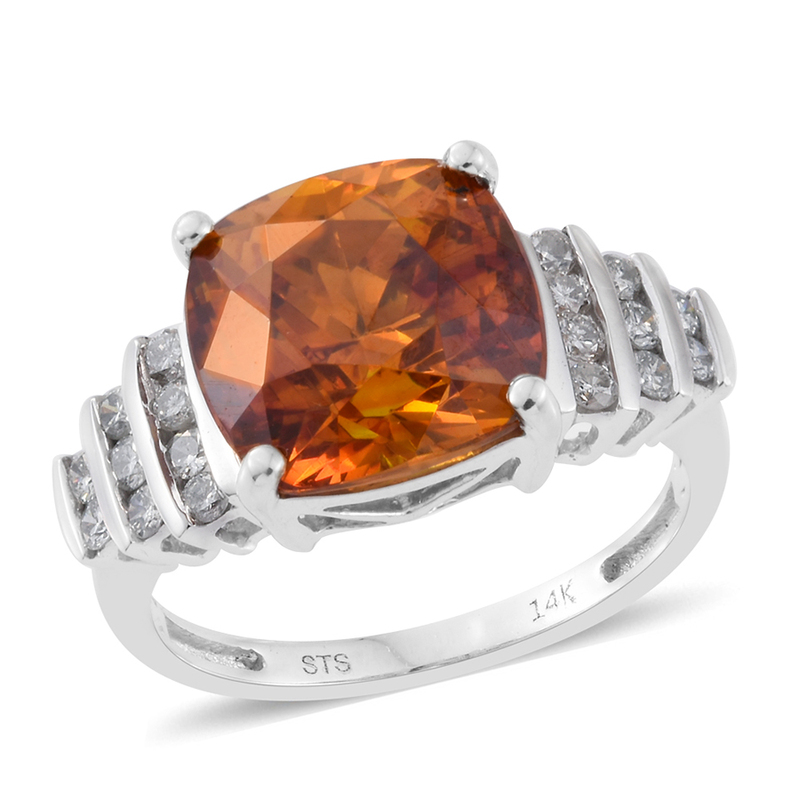 If you love the color orange or sparkling gems, then sphalerite might just be your new favorite stone! Consider sphalerite if you love other orange gems such as Santa Madeira citrine, fire opal, and sunstone. Plus, the jewel’s potential for scintillating fire provides a stunning quality not frequently seen in colored gemstones. How Did Sphalerite Get its Name? • Just like tourmaline, sphalerite has its roots in deception. The word for the modern-day gemstone comes from Ancient Greek roots. In Greek, the word “sphaleros” means deceiving or treacherous. This was bestowed on the stone as miners considered it to be misleading. It was often confused for galena, a similar looking ore that contains lead. • Sphalerite might also be known as zinc blende, blackjack, and a host of other names. Specimens of sphalerite can be found across the globe. Despite its prevalence as a mineral ore, only a few locations worldwide produce gem-quality material. These sites include Bulgaria, China, and Peru. Shop LC sources its brightly colored orange sphalerite from Australia, Brazil, Canada, Sweden, and Spain. Mining for this gem is a difficult process. Sphalerite is extremely valuable for its zinc content, as zinc is one of the most widely used metals in the world. It’s found in a stunning amount of consumer products – even rubber and medicine! Almost all ore that’s mined is for the metal content. In addition, the gem form is very fragile. As a result, great care must be taken when removing rough from the Earth so that it doesn’t become damaged. Specialized equipment is used to extract the gem from the ground. Lapidaries also must be very careful during cutting and polishing, as the gem’s delicate nature can make even a small mistake costly. 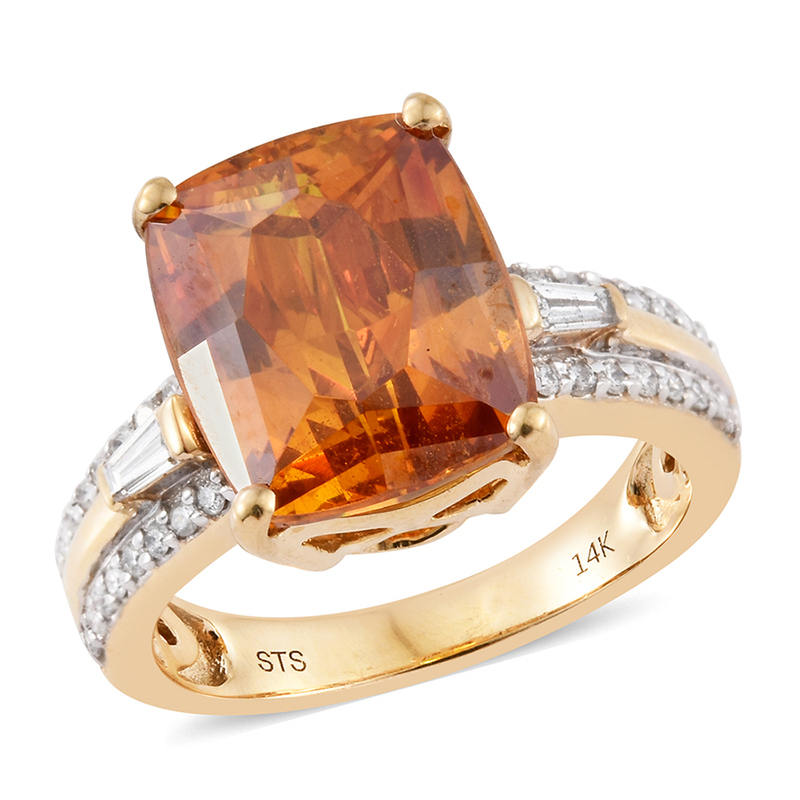 Shop LC provides sphalerite in stunning citrus orange hues. Sourced from Australia, Brazil, Canada, Sweden, and Spain. This stone is not treated.